Girl is NOT a 4 Letter Word: Austin, TX - The Skate Kitchen Movie Is Coming To You This Friday! Austin, TX - The Skate Kitchen Movie Is Coming To You This Friday! Hey Austin, Texas! Get ready, the premiere of the new movie The Skate Kitchen is coming to you this Friday night! 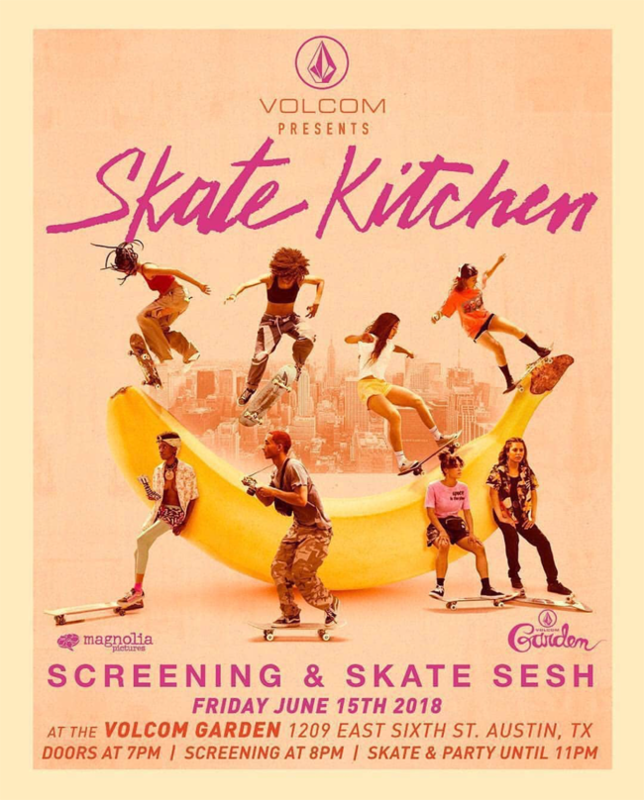 There with be a screening of the new film starring the girls from the Skate Kitchen, we have heard that the films director, Crystal Moselle will be there! And there will be an epic skate sesh at Volcom Garden after. Best bet is to get there early as we are sure this event will be jam-packed!